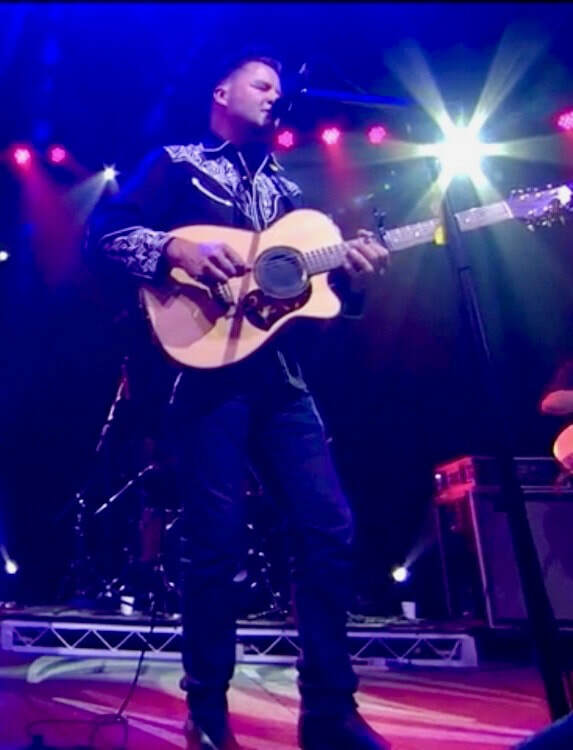 Damian Howard's songwriting features his take on life and stories of Australia's colourful history and characters which continue to shine through his live performances. With over thirty years of performing experience, Damian has lifted the crowds and the canvas, has united the kids and the oldies, has kicked goals in the dust, in the sun and with the rain on the horizon. This is a musician for all seasons, for all occasions, with a formula that has reaped success at home and abroad. "Damian and his band are a great band to watch. They seem to have a crowd of instant fans - like fish in the desert after rain, they magically appear - attracted by a swaggering and cheeky Aussie gregarious presence that raises the stakes with real passion. Quite simply they are a a great band, an ideal “festival band” which will always excel and exceed expectations"
Since 1994 as the lead singer/ songwriter of one of Australia's iconic Celtic festival bands,' The Ploughboys', or with a successful folk-country solo career, Damian has continued to strive and grow in all things musical. Over the past 24 years, Damian has toured extensively throughout Australia and overseas, performing at many well-known venues and music festivals. Amongst the many performances highlights was an opportunity to perform at the pre-match of the International Rules games between Australia and Ireland at the MCG in 2001 and Docklands Stadium in 2007 in front of 50 000 people and broadcast live on television throughout Australia and Europe to an estimated audience of over 5 million people. Since this time Howard has performed at many festivals and venues around Australia and throughout the world including the Hebridean Celtic and Hebcelt Festival, Scotland; the Americana Festival in Nashville, USA; and, the Folk Alliance Conference in Kansas City. Damian has just released his fourth solo album number - “Ned” - which features new and old interpretations about the infamous, legendary Australian bushranger, Ned Kelly. Howard's songs have been featured on ABC TV’s Rage and the Country Music Channel. After performances in 2008 and 2009 Damian Howard made a successful return to Europe in 2012 to perform at the Skagen Music Festival. In September 2012 Damian and Jason King attended the Americana Music Festival and Conference in Nashville, Tennessee as part of the Sounds Australia delegation. Their performances at the legendary Bluebird Cafe and The Basement we very well received and they look forward to returning in 2013.